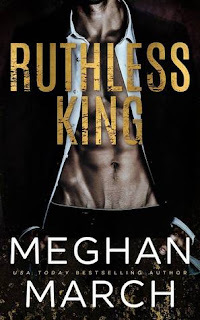 This is my first time reading Meghan March and I’m hooked. She gave me everything that I was looking for in a dark read. I devoured Ruthless King in a matter of hours. This is the first of three books. A one-click must in my opinion. I knew I needed to read this book based off the synopsis. I LOVE New Orleans. It’s one of my favorite cities to visit and I do it yearly. Spoiler free reviews are always a bit tricky to write because as a blogger we want to share our passion for the stories we read. Sometimes keeping information to ourselves is hard. Vague reviews are even worse at times. Kiera and Lachlan are on fire! The chemistry between the two has the potential to set our kindles on fire! Kiera is feisty, sassy and gorgeous! Lachlan is a dirty talker with a dark and dangerous past! Read it!!! It’s dark, it’s hot. The pacing is perfect and the ending will have your jaw dropping.